I am always rather partial to a Salad during the summer, but during the winter, it often feels much to cold to be eating salad. 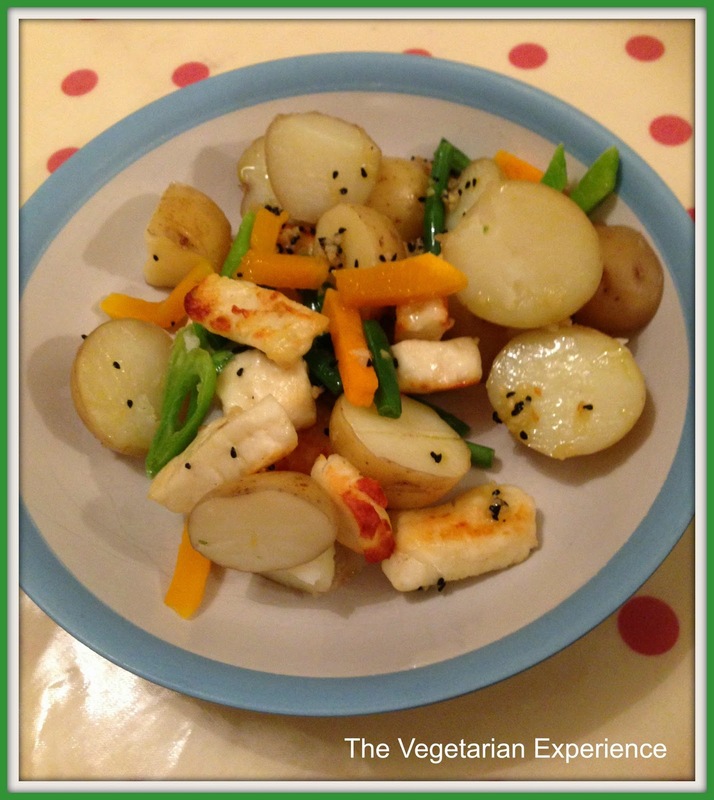 This week I decided to create Winter Salad, with a base of new potatoes and vegetables. I wanted a hearty cheese such as Halloumi which would hold it's own with the other ingredients, and I wasn't too bothered about which vegetables I used, so when I found a carrot and green bean vegetable pack on offer, I decided to use this. This is a really easy salad to throw together, and you could use any vegetables which you fancy. When I cook this again, I will add some red onion, or maybe some butternut squash to make the flavour a little richer. Here is my recipe for a Warm Winter Salad. I hope you like it. Boil the potatoes until cooked. Cook the Beans and Carrots either in a microwave pack, or via hot water on the stove and drain. Cut the Halloumi into small chunks, and grill on both sides until cooked. Once cooked, transfer all of the ingredients to a bowl and combine evenly. Drizzle with Olive Oil or Balsamic Vinegar, and perhaps also add some Onion Seeds for Flavour. Serve immediately perhaps with some crunchy bread.